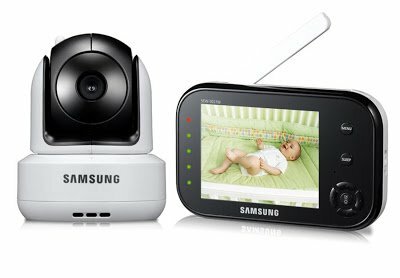 This is the summary of consumer reviews for Samsung SafeVIEW SEW-3037W Video Baby Monitor. The BoolPool rating for this product is Very Good, with 4.30 stars, and the price range is $229.00-$249.99. 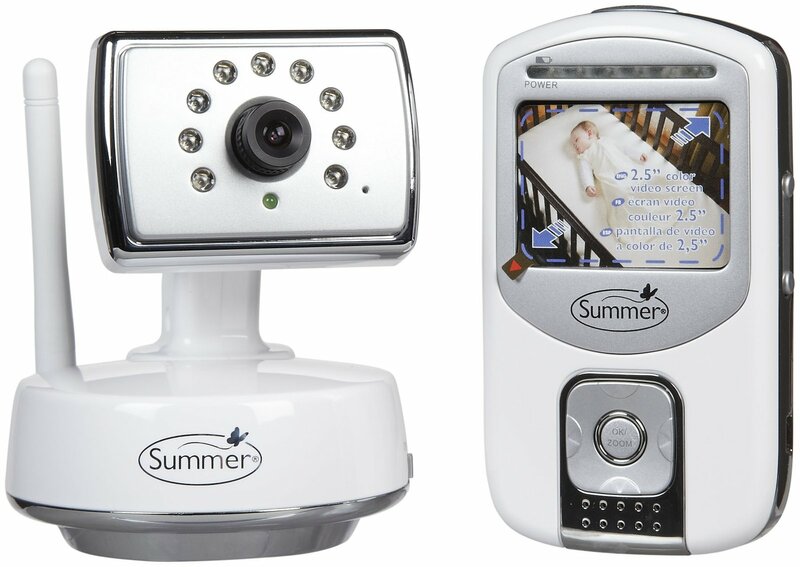 The Samsung SEW-3037W is an easy to use wireless baby monitoring system consisting of a high resolution 3.5" LCD monitor and wireless night vision camera with non-visible IR LEDs to ensure safe night time monitoring. 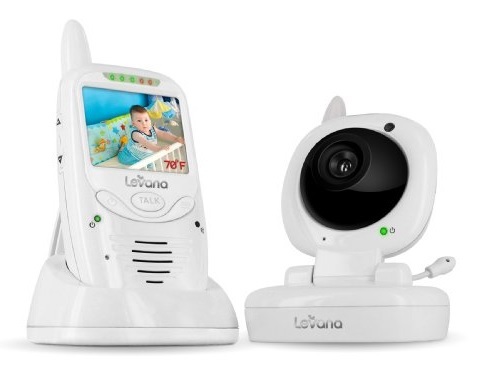 The camera unit features a long range transmission up to 900 feet and VGA (640x480) resolution to provide crisp and clear image and built-in microphone and speaker of the camera allows two-way talking feature where you can talk to and hear the baby. 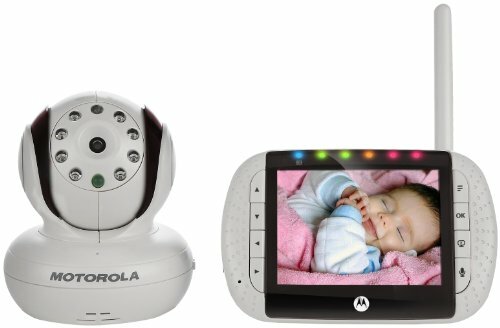 The camera’s night vision capability for low or no light conditions additionally supports the baby monitor with a remotely activated night light on the camera. The unit totally supports the pan, tilt and 2x zoom functions remotely or with the press of a button on the parent unit. The unit is expandable with up to 4 additional cameras for added safety and monitoring of different areas. The only concern expressed by reviewers is the annoying loud music played while turning on the camera. Also some reviewers mentioned a room temperature sensor would be an added advantage. 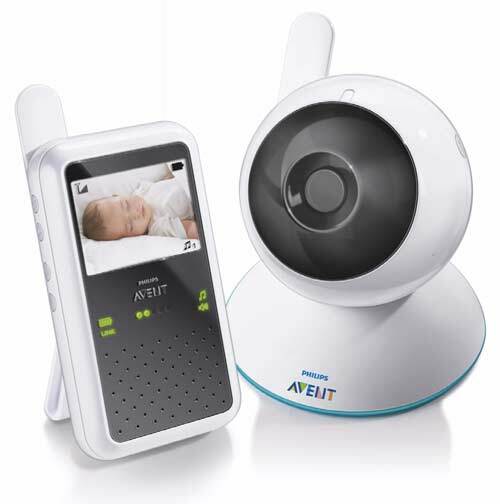 Overall, the Samsung SEW-3037W Wireless Pan Tilt Video Baby Monitor with Infrared Night Vision and Zoom is highly recommended for its secure and interference free digital signals. The pure digital signal allows the monitor to function uninterrupted by wireless routers, microwaves, or cordless phone. Good quality of video and sound. 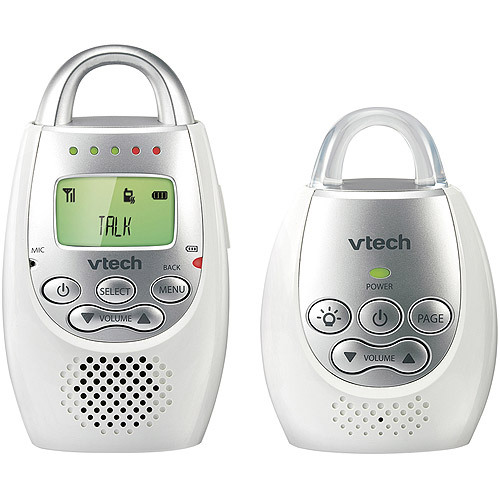 Easy to use, great picture, great sound, and love that I can talk two way with my kids! Starting sound of parent devise is useless and may disturb the baby. I've one in my 10 month olds room and one in my 5 year olds room, great way to keep an eye on them both!. The sound can't be switched off. 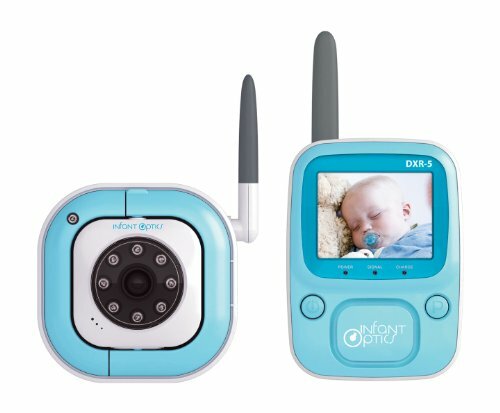 I like this baby monitor as it's very easy to use, it's a lot of usefull functions. Room temperature sensor wouldn't be a bad idea. The picture is great and sound is great and we never had a problem with the range. I read a lot of reviews about all the monitors out there, and ultimately chose the samsung model. This Samsung unit has excellent video quality even in low light, range is excellent (much better than Summer Infant), controls are intuitive, and it doesn't turn off the video on the parent unit which is great. Edit: The first unit shipped to me had oversensitive controls (when I pushed a button the unit would register the action multiple times), but this problem doesn't exist in a replacement unit. Yet, 3037 has night light which can be turned on or off from the parent unit. The parent unit of SEW-3036 and SEW-3037 have very similar design, button layout, and function. The Samsung was most aesthetically pleasing to us (hidden IR LEDs on the camera, sleek-looking parent unit, intuitive pan and tilt arrows on the parent unit). Motorola's customer service is absolutely horrible, and they'll replace your broken unit with another broken unit. The video unit is easy to use and while the menus aren't pretty, they're highly functional and easy to understand. The jingle when you first turn on the unit is annoying but we've learned to live with it as the other units we looked at had more serious issues that people were complaining about. The camera unit is also awesome. You can also press a button on the video unit and "talk" to your child using a small speaker on the camera unit... our daughter thinks it's hilarious!. The talk feature is perfect for us. The features on this are amazing, the picture is great quality, it's a clock on the screen which is something I never thought I wanted but love now, it's a sleep feature to turn off the screen, multiple sound features, it's well thought out and easy to use. This feature will save us time and energy. I really like the two way talk feature. The best feature is the night vision!. So far the range is great, and I love the VOX feature saves power, but still gives you the ability to know that you continually monitoring your little baby. The intercom feature is also a plus. Love the pan/tilt feature and I can tell it'll be great to have once she starts moving around in the crib. We've tried all the features and have fallen in love with it. The Samsung product has the bells and whistles, very good quality video in all lighting conditions, zoom, vox (which will light up the screen when there's noise), multiple camera capability, target speaker if you need to voice something through to the camera (Kids, time for dinner! ), and a very good built in battery. Easy to use and moving camera feature is quite impressive. The camera can be almost turned 360 degrees and night light feature is also plus. Multiple Cameras: We loved this thing so much, we bought a second camera for our 18 month old. 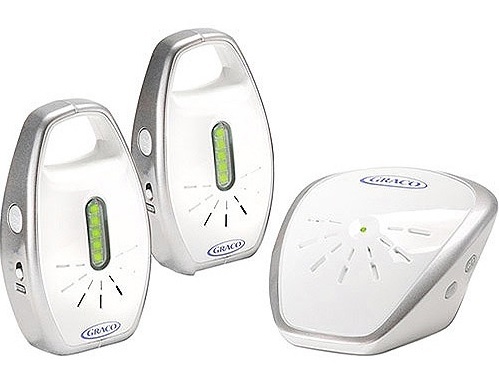 Some additional features : a small night light on the camera that you can turn on / off locally or remotely, and a "talk" function (push a button on the monitor to send voice from monitor to camera). Video Quality: The video quality on this camera is poor. This's a life saver, top quality, fabulous picture, awesome nighttime IR & high resolution pictures! In "vox" mode, the screen will turn off after a minute without significant noise to save battery power. The voice activated feature works nicely, the nighttime vision is useful as well, and the sensitivity to sound and volume are nice. I love the look of the camera. VOX - Screen wakes up, and you hear sound along with it - you can press the sleep button to turn off screen, sound deactivates 1 min later on its own. When the unit is turned on, it plays an annoying and LOUD little song. I'm really surprised how well the infrared camera works. Every time you turn the monitor ON, it gives loud and annoying sound like computer games from Mid 90s. Battery icon indicating remaining battery life is a nice added feature (absent on the older SEW-3030). The camera works very well. Pan tilt works really well, as do other features, even if it's a bit odd to operate them (VOX mode, menus to get to zoom instead of a dedicated button, etc). You can adjust the light in the room or turn it off completely and just use the sound (saves battery as well). The info display shows signal strength, camera number being viewed, if it's using night vision mode, the time, if the "nightlight" is on, VOX mode, and battery life.